What’s changing as a result of Epic Phase 2? Can I earn continuing education credits by attending Epic training? Online Epic training for all care providers will be available beginning June 1st in NetLearning and are due for completion by June 30. This series of brief, computer-based learnings (CBLs) and Tip Sheets explains the workflow changes happening in areas such as: Lab, Revenue Cycle, Home Health, MyChart, Patient Movement, Surgery and Anesthesiology and Phase of Care orders. Complete the CBLs when it’s convenient for your schedule! Click the link above for details. In addition, in-depth Epic classroom instruction is available for specific providers in the areas of: Surgery, Procedural, Anesthesiology and Pathology. Click the link above for details. Classes are available now and are due for completion by June 26. 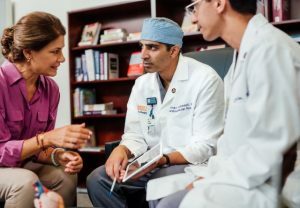 Read the UVA Connect article for more information about how to earn continuing education credits for attending Epic training. The Training Hotline is available to assist with registration by calling (434) 297-5200 between 8 a.m. to 5 p.m. (Monday – Friday) or by sending an email to the Training Helpdesk. Visit the For Physicians page of the Epic Phase 2 Project website for updates, links to the physician course catalog, training schedule and more.